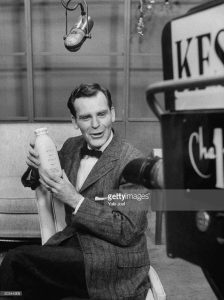 Rod Sherry was already an established television and radio newscaster in Los Angeles when he accepted an opportunity to relocate to the Bay Area to join San Francisco’s KPIX as its 11 p.m. anchor, in 1964. Throughout the rest of the 1960s and into the early 1970s, Sherry became one of the Bay Area’s preeminent newscasters, dominating the Bay Area airwaves along with the likes of Roger Grimsby at crosstown rival KGO-TV. In addition to anchoring the news at KPIX, Sherry also served as one of its reporters for the station’s 6 p.m. newscast. He also hosted a panel-discussion program there called Newsmakers. In later years, Sherry came out of semi-retirement to become a news anchor and news producer at the then-fledgling KFTY, an independent station in Santa Rosa. In 1999, Sherry joined Grimsby and others when he was inducted into the Silver Circle of the San Francisco/Northern California Chapter of The National Academy of Television Arts & Sciences in recognition of his more than 25 years in television contributions to the Bay Area and northern California television industry (Grimsby was inducted in 1994). Born in October 1916 as Robert Sherry, the future San Francisco anchorman had a great voice; he was blessed with a good set of pipes. Still in high school on the East Coast when a friend told him about an opening at WEBR radio in Buffalo, New York, he went for an audition and was hired immediately, thus launching a colorful, illustrious career that spanned radio and television journalism, and even a brief acting career in Hollywood. From his first job at WEBR, Sherry went to WBNY in Buffalo, followed by a stint at WBR. That’s when the West Coast called. He worked in Buffalo for 11 years before joining the U.S. Army Air Corps, stationed in England, during World War II. After serving in the U.S. Army Air Corps, Sherry returned to the United States. Call it serendipity or fate, he would meet Martha Caplise, a Syracuse native who returned to the East Coast for a visit from California, where she had moved for a career in the retail industry in Los Angeles and Beverly Hills. The couple would eventually marry in 1946, in Rochester, New York. Since his wife’s career was in southern California, Sherry sought work in Los Angeles, eventually landing a newscaster job at KNX radio in Los Angeles. Eventually, he would transition into television, anchoring the news at KTTV in Los Angeles. But then, Sherry took a brief detour from television news, when he decided, in the early 1950s, to enroll in the drama department at UCLA. He received accolades for his acting in classical dramas that included the works of William Shakespeare. Sherry’s acting was so good, he was called for a part in a 1954 movie, The Bridges of Toko-Ri, starring Grace Kelly, William Holden and Mickey Rooney. Sherry also starred, in 1954, in a short anti-war film called A Time Out of War, which won an Academy Award in 1955 for best short subject. At the time, the London Evening News called it “the most powerful argument against war ever filmed”. 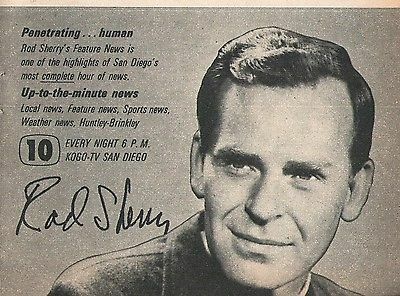 Sherry eventually returned to television news when he was hired as a newscaster at KFSF-TV (now KGTV) in San Diego. While there, he would work with the likes of Regis Philbin, whose television career was just getting started there in the late 1950s and early 1960s. Sherry would remain on San Diego television until 1964. It was that year when a group of visiting Westinghouse Broadcasting executives saw one of his broadcasts. At that time, Westinghouse owned San Francisco’s KPIX. They made Sherry an offer to take a job in the Bay Area. Sherry accepted, joining KPIX that year. In later years, Sherry would always consider San Francisco the crowning move of his career. 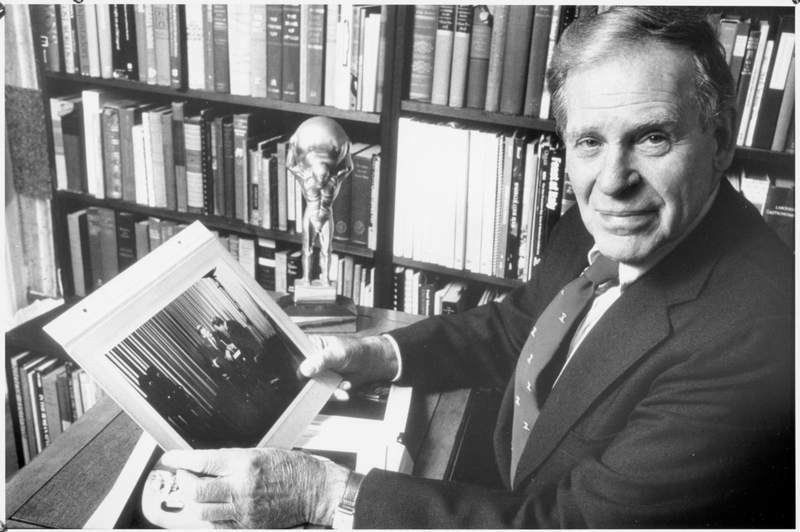 While at KPIX, Sherry became known for his chiseled good looks and baritone voice, reporting for the station’s 6 p.m. newscast and anchoring its 11 p.m. broadcast. On weekends, he moderated the Newsmakers program. In 1972, at the age of 56 and after eight years at KPIX, Sherry decided it was time to retire. He and his wife decided they would move to Santa Rosa, which they had always admired. But, his retirement was brief. In the early 1970s, Santa Rosa’s independent TV station, KFTY, was a fledgling start-up, and Sherry was brought out of retirement to work as the station’s weekend anchor, managing editor and producer. Eventually, he would become the station’s weeknight anchor and news director, before retiring from television in 1987. Sherry had also been involved in a business enterprise with his wife, Martha; they’d opened up the first local shop devoted to the culinary arts. It was called The Cookery Crockery Shop, and it was located in Santa Rosa’s Montgomery Village Shopping Center. They operated the store until 1985. After Sherry’s retirement from television, he became one of the founding members of The Broadcast Legends, serving on the initial core group of founders as the organization’s treasurer. He was also president of the Santa Rosa Downtown Rotary Club. In 2004, Sherry would lose “the love of his life”, when wife, Martha, passed away at the age of 86 following a long illness. Sherry passed away four years later, in February 2008, at the age of 91. Gone but not forgotten, Sherry was one of Bay Area television’s most-watched newscasters in the 1960s. Kevin Wing has authored Off Camera’s “Gold & Silver Circle Profiles” since its inception in 2007. 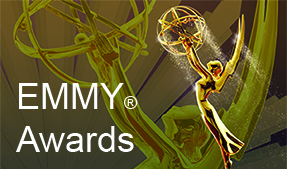 Wing, an Emmy® Award-honored journalist, is with KNTV NBC Bay Area in San Jose. He is also a journalism professor at Ohlone College in Fremont. He was inducted into the Silver Circle in 2013.